Felix Shepherd is a British singer-songwriter who merges Alt-Pop and RnB melodies, that are yet to be heard. After his previous run in the indie pop world, Felix’s new sound is being compared to the likes of Bazzi, Billie Eilish and Frank Ocean. The combination of his groove and melodies compliment the mix of R’n’B, soul and electronic textures. 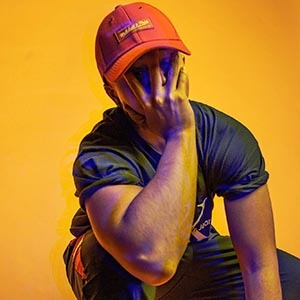 2019 see’s him seduce a wider audience with his new sound after gaining the support from the likes of BBC Music Introducing with his debut and appearing on the X Factor. Tori Cross is a singer-songwriter from Birmingham. Tori’s background had previously been in dance before deciding to focus all her time on music. She began writing songs at the age of 16 when she enrolled in a performing arts academy in Birmingham to study music. In 2013 Tori moved to Liverpool tostudy music further at University, and continued to perform in the local music scene, playing solo with her guitar at open mic nights, and backing singing for local artists XamVolo and Galactic Funk Militia at festivals and various gigs. Kickstarting her solo venture, Tori made it through to the regional finals of Open Mic UK receiving the audience’s vote to move further on in the competition and finishing as runner up. In 2017 Tori was picked to be a part of the LIMF academy, receiving support and advice from Liverpool’s Yaw Owusu. 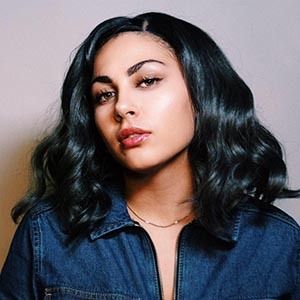 Tori released her debut single ‘Italy’ in 2017, but has recently revamped her sound, working with producers TeeSoulful and XamVolo on her forthcoming EP. In October Tori released the first track from her debut EP. ‘Looking Up’ achieved great success after being added to Spotify’s own ‘Fresh Pop’ playlist and receiving support from BBC introducing Merseyside. Tori has featured recently on dance hit ‘Sunrise’ by Duo Tone and ‘Feel My Love’ By LUCA. Her unreleased track ‘Woman’ has had a lot of support from BBC Introducing and has been played on Dave Monks show regularly. Her music is melodic and soulful and draws influences from artists such as Ella Fitzgerald, Nina Simone and Lianne La Havas. Rhianna Keane is a Birmingham singer/ songwriter who is set to release her EP in 2019. Her RnB, neo-soul elements combined with her meaningful lyrics create a chilled vibe, similar to her inspirations who are the likes of Erykah Badu and Amy Winehouse. Rhianna Keane has been described as creating `’a different style of music, unusual to what we hear on the radio”. Rhianna Keane‘s aim is to release something authentic by combining different elements of music together through spoken word and emotion. Her EP ‘blooming’ is to be released late 2019 with her single ‘fool’ to drop June/July time. With her first festival booking this year at 2000 Trees, it’s only just the start. 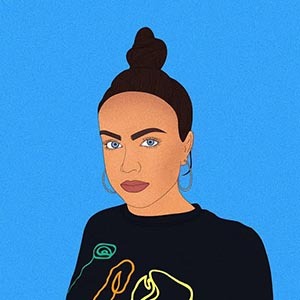 Rhianna Keane is only just beginning her journey and has already been nominated as one of Birmingham’s Rising Stars with The Birmingham Music Awards.